UFO SIGHTINGS DAILY: UFO roamed as it owned the place on the night of the super-moon, Sept 2015, UFO Sighting News. 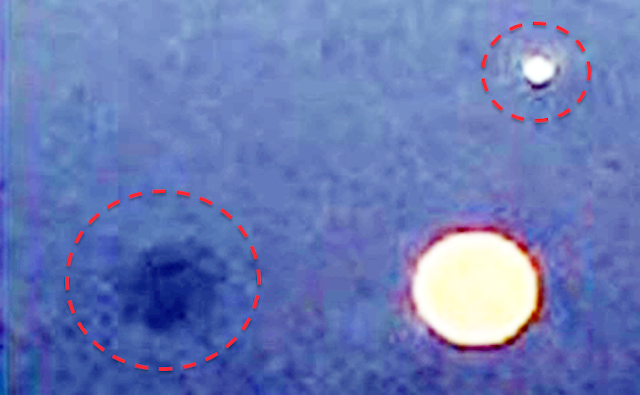 UFO roamed as it owned the place on the night of the super-moon, Sept 2015, UFO Sighting News. Guys, not only is this a UFO that is visible, but there is another UFO that is not visible in the same close up. I found it by adding contrast. Look below. The UFO is much larger that the small UFO. I think aliens wanted humans to see the small UFO, so that they could observe the humans and their reactions, as they sat comfortable and in the larger UFO. Also know, the cloaked UFO was much closer so they could observe. 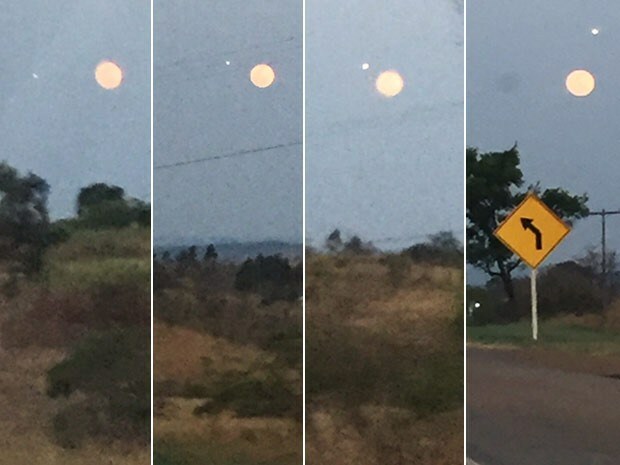 A sequence of photos taken in Brasilia (Brazil) shows an unidentified flying object near the super moon on Sunday afternoon (27). The images were taken at the Engenho das Lajes, in Mexico City, from 18 pm. According to civil engineer Viviane Taham, the object was bright and moving in different directions. "It appeared from the left, quickly rose diagonally, then it descended diagonally downward, and finally back toward the Moon, and then disappear." There were 21 photos in total - taken casually by his daughter, he wanted to capture with his cell the total lunar eclipse - the youngest was in the car with his father and two other people. All were impressed with what they saw. "My daughter called me at the time and said:" I saw a UFO, saw a UFO ", and I said no," he saw a light, and did not know what it was! "It seemed to have a strange movement," said Viviane. "I do not know whether to believe in extraterrestrials. Nunca thought of that possibility, and had never seen anything like it," concluded the engineer. The Brazilian Air Force were consulted about it, but have not received any official information so far. In Campo Grande (Brazil), George Tamaras, which was made one of the most impressive records. 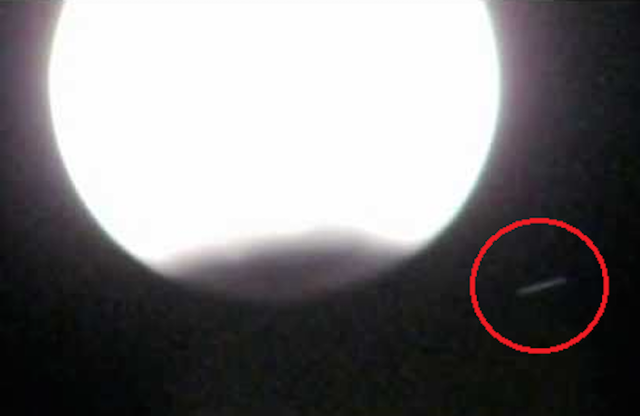 In his video, you can see the passage of a UFO during the event superluna. The ball of light was white and shone brightly. 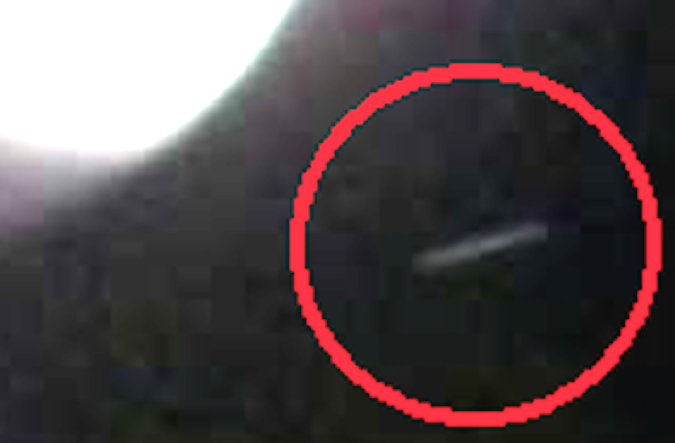 Movement without a defined position of the UFO, which proves that it was not a plane. A witness to Buenos Aires (Argentina) also managed to film the amazing astronomical event can promptly grasp the precise moment when several objects identified were not on the scene. "Last night at the lunar eclipse across some objects and many people were following the event by TV reported seeing a shooting star. Clearly it is not a meteorite or anything similar, but elongated meteors, UFOs type of cigarettes. At least that is what shows my film ". The witness described.